Canadiana fountain pen kit style C - silver with black titanium accents. 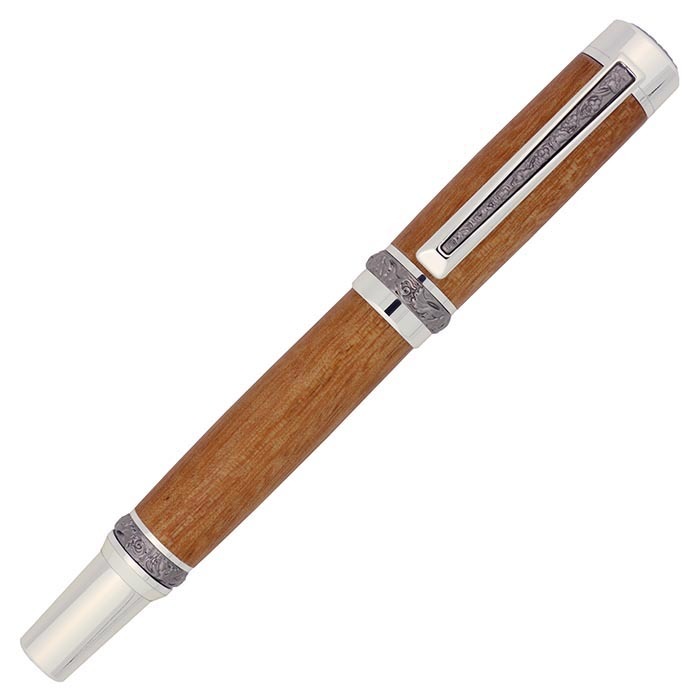 This is a large, high end pen by Berea Hardwoods that features a fancy cap inset and decorative clip, centre band and accent band. All external parts are metal. 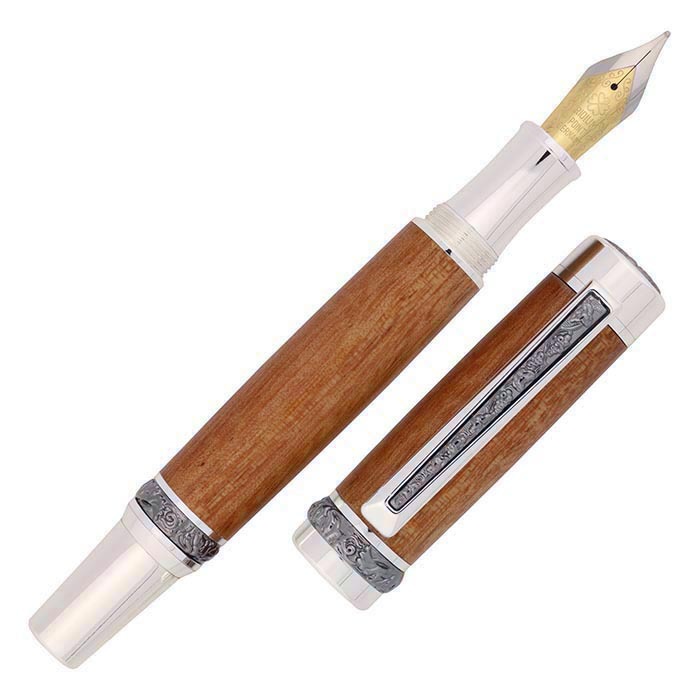 Kit includes a medium two-tone nib, ink cartridge and ink pump. Kit uses the same tooling as Churchill kits: drills 13.3 mm and 31/64, pen mill shafts 13.3 and 31.64, bushing 48A and mandrel A/7 mm. Shown here with Goncalo Alves pen blank (blank not included - see "Related Products" tab for link). Pen by Norm Kane, Guelph ON. Mix and match this kit with pen kits to qualify for volume price discounts where available!